Charles and Ray Eames believed that "design is a method of action," and they continually updated their work as new materials became available. Their Molded Plastic chairs were originally designed in metal and entered as a prototype in MoMA’s 1948 International Competition for Low-Cost Furniture Design. They then changed the material to fiberglass in 1950, and today the chairs are made of recyclable polypropylene. Charles was dissatisfied with the fiberglass, and it wasn’t until after his death that the matte finish he desired was achieved, thanks to advances in materials. "The chair that Charles and Ray were designing," explains grandson Eames Demetrios, "is the chair that’s made tomorrow." The deep seat pocket and waterfall seat edge keep you comfortable by reducing pressure on the backs of thighs. 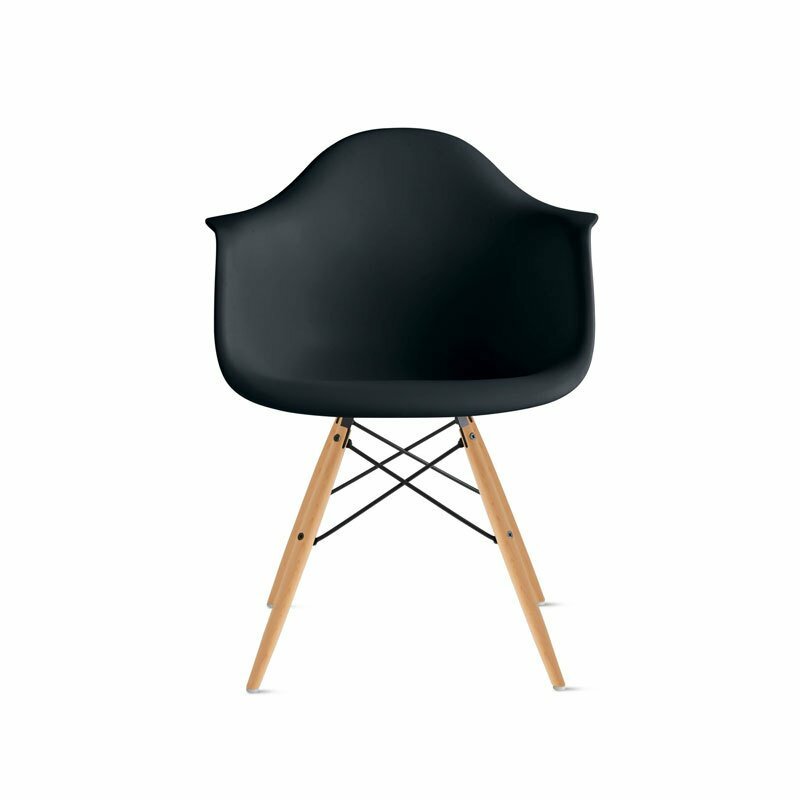 This is an authentic chair by Herman Miller, Inc. Eames is a licensed trademark of Herman Miller. Made in U.S.A.